This summer has gone by WAY too fast (is there ever a summer that doesn't?) 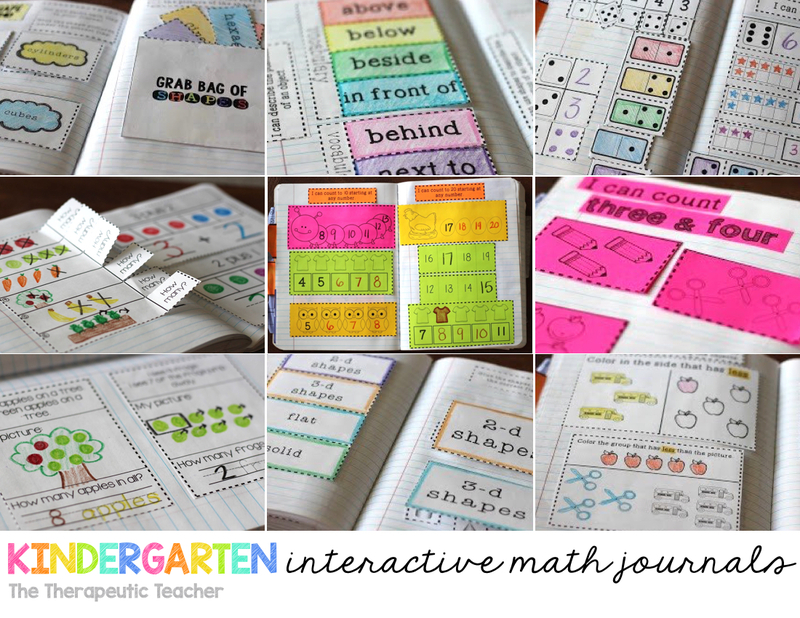 This summer I was able to finish the entire series of interactive math journals for kindergarten. I have worked on this set for a year too long! 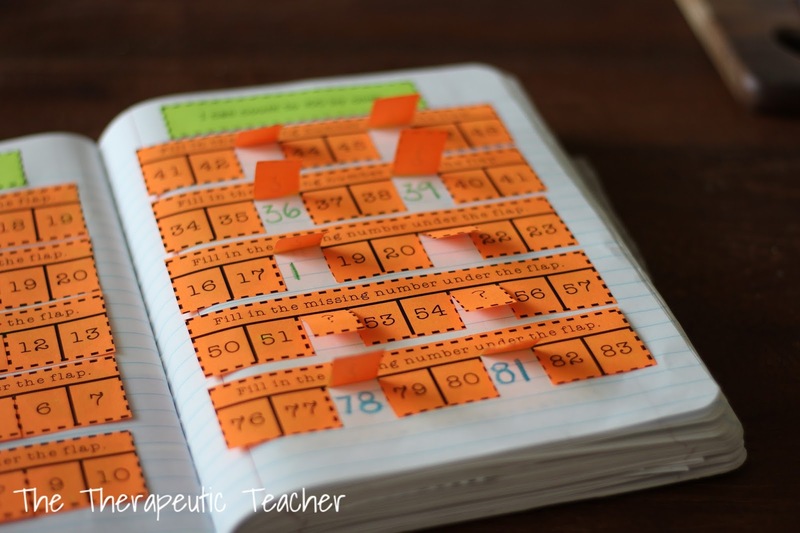 I was able to use bits and pieces throughout last school year, but I am so excited (and relieved) to have the entire years worth of math journals ready to go! 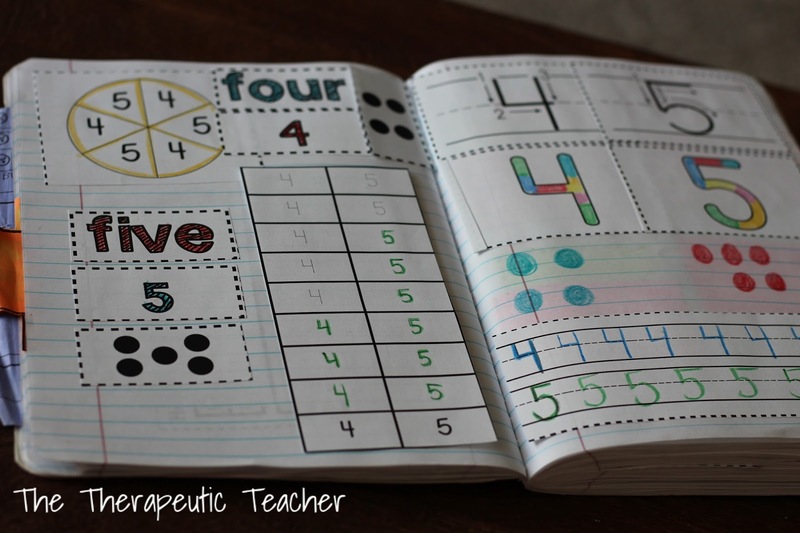 Now I can focus all of my time on planning whole group and guided math lessons... fun fun! 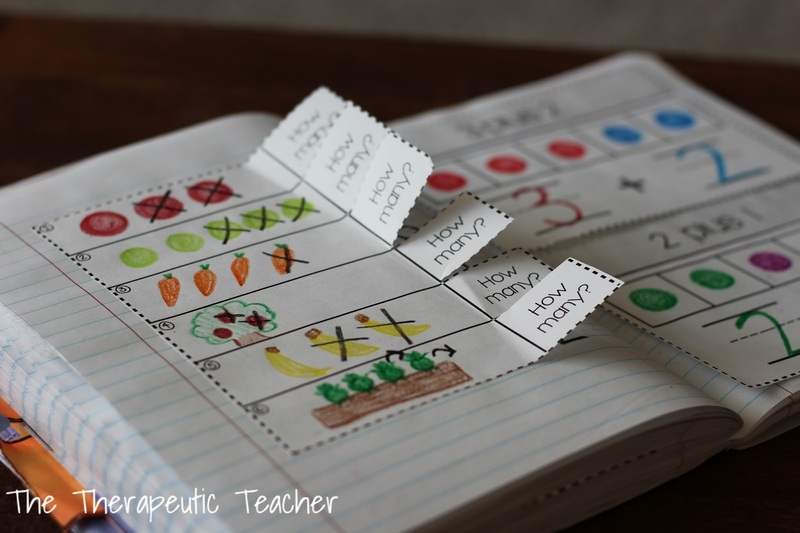 Here's a peek at what some of the interactive activities look like. I prefer to use a composition notebook, although all of these activities will also fit in a spiral notebook. Each student in my class gets a journal. I also keep a journal of partially completed pages for students to reference during independent or math centers time. 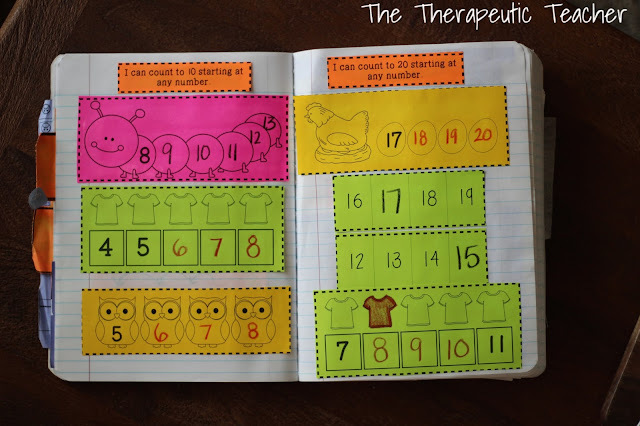 My journal has all of the tabs in it (numbers, shapes, addition, subtraction, measurement, & data). 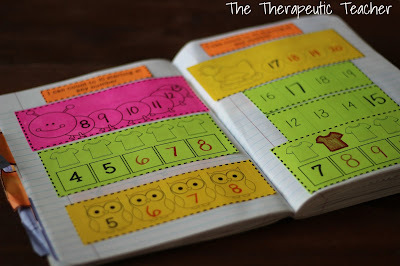 This journal is what I used at the end of a couple school years ago so it's missing some of the tabs. The tabs have been great for keeping the journal organized; however, it is a bit tedious to keep up with. 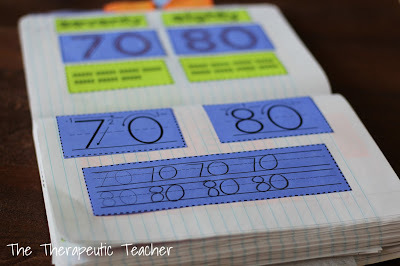 I don't have my students tab their journals, but if I had a small group of students I would totally recommend it! 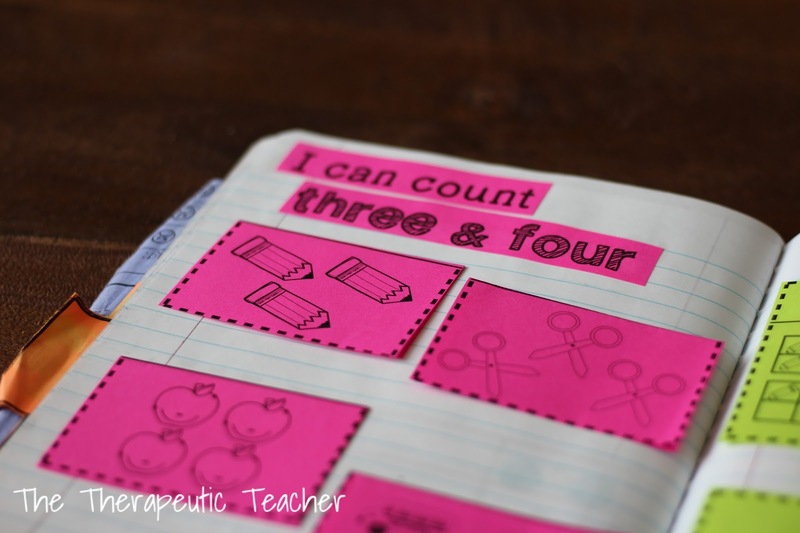 Each standard comes with "I can" statements. I have my students glue the statement at the top of the page (see orange below) and I continue to reference it throughout the lesson to ensure each child knows the purpose of the lesson. During the beginning of the year, we complete these activities as a whole group. Once we have learned the routines and procedures for our math block, I start math centers with guided small groups. I use Reagan's guided math rotation set from Tunstall's Teaching Tidbits. 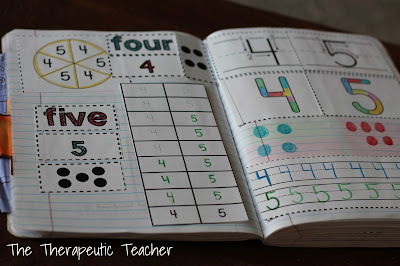 I absolutely recommend her Guided Math Rotation Board which you can find here, or at her blog linked above! At this point you might be thinking I'm crazy. Did she cut all of that for her students? How long is this going to take? This would be a mess in my classroom. Ugh glue, I hate glue. But I promise these are easier to use than they look! (Which, essentially, is why they are so great!) Take a look at the picture above. 1. Cut out a rectangle. 2. Make four cuts on dotted lines 3. Glue everything except tiny flaps. And you're done! Students lift the flaps and write their answer. 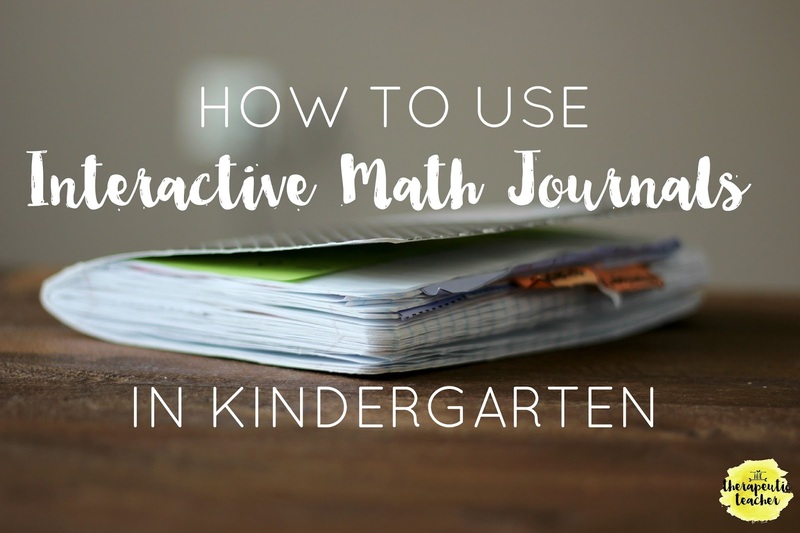 With activities like these, I find that my students are more capable of understanding their knowledge and are easily engaged in our "math community" as opposed to a worksheet with pencil. And if you are are worried about glue, try glue sponges! I started them halfway through the last school year and I am so glad I did. They work perfectly with the journals and leave no mess or caps laying around. 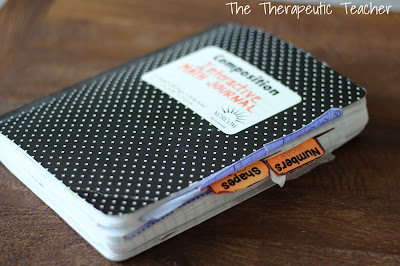 Continue reading about these journals in the PART TWO post!